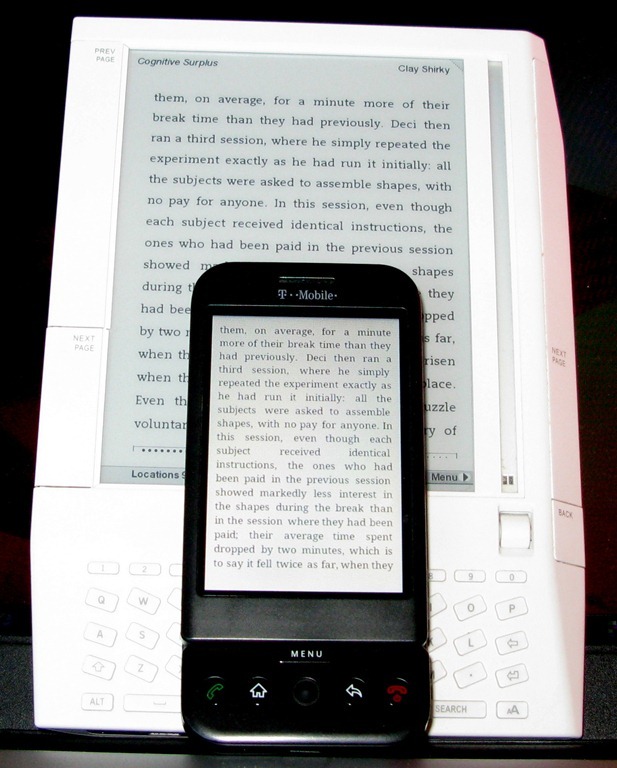 Back in Oct. 2008, I bought an Amazon Kindle and blogged about it: Northfield Kindle owners: saving trees or destroying Division St. bookstores? There were three bookstores downtown then: River City Books, Bookfellows, and Monkey See Monkey Read. Only Jerry Bilek’s Monkey See Monkey Read remains. Now one element of Google Editions is coming into sharper focus. Google is on the verge of completing a deal with the American Booksellers Association, the trade group for independent bookstores, to make Google Editions the primary source of e-books on the Web sites of hundreds of independent booksellers around the country, according to representatives of Google and the association. I’m a regular e-book buyer and things got even cooler this week with a new Kindle app that allows me to read the same books on my Android phone that I’ve already purchased for my Kindle… and synchronize how far along I am in the book in both devices. Very helpful.